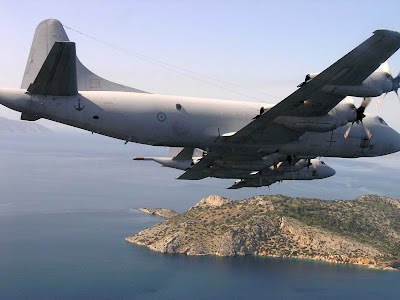 Compared to other operational means, the specialized maritime patrol aircraft offers a number of advantages such as high response speed, great autonomy, the ability to carry a variety of sensors and weapons, and others, in order to fulfill their mission. 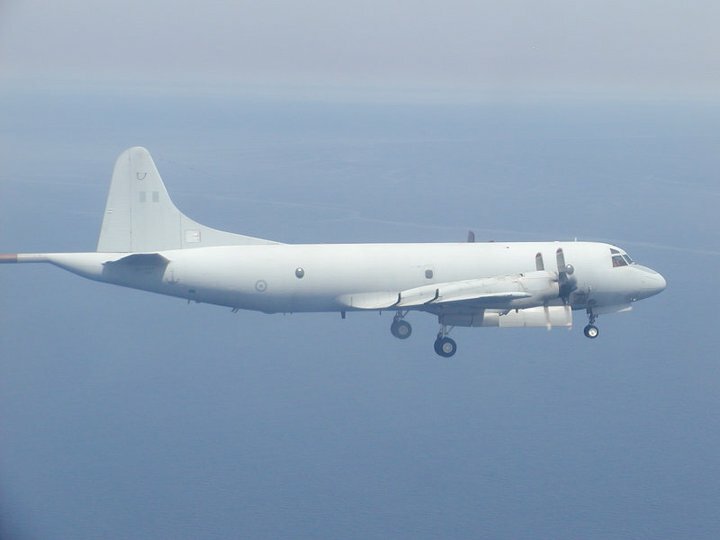 Thus, provided that they are equipped with the appropriate equipment, they can perform Maritime Patrol Surveillance (MPS), Intelligence Gathering, Anti-Submarine Warfare (ASW) and Anti-Surface Warfare (ASuW), targeting beyond the horizon, and others. 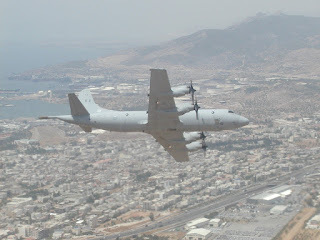 They can also contribute to other missions such as SAR and aerial minelaying. Even other means that often appear to be more cost-effective substitutes for MPAs, such as Unmanned Aerial Systems - which are useful supplements for some cases which require persistent surveillance - are usually lagging behind in critical areas such as speed, the ability to transport simultaneously many different mission modules and / or weapons (especially in relation to medium / large MPAs) and, of course, in the absence of the human factor, the immediacy of the crisis and its intervention, is decisive in many missions of naval cooperation. In countries with a long coastline and hence with extensive maritime borders, such as Greece, the operational utility of MPA is obvious. Therefore, the availability of such means to the Hellenic Armed Forces should be considered as absolutely necessary for a number of national as well as international tasks. 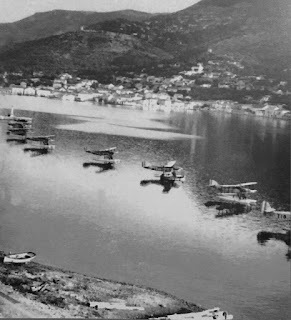 Apart from the purely operational criteria, the case of MPA in Greek service is also of particular historical significance as a Greek MPA was the first MPA that carried out the world's first air-naval co-operation mission! 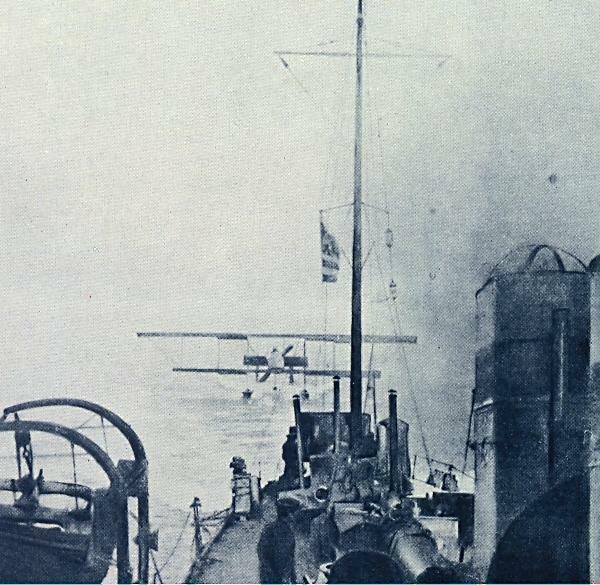 More specifically, in 1913, during the First Balkan War, a Greek Maurice Farman MF.7 hydroplane, flown by Michael Moutoussis with Aristeidis Moraitinis, carried out a reconnaissance mission over Hellespont and Gallipolis, recording the positions and condition of the Turkish Navy ships, and also carried out occasional bombardment by launching four (improvised) small bombs. 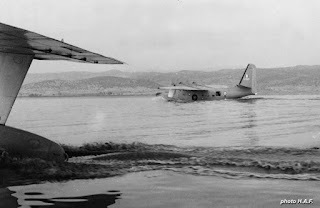 After two hours and 20 minutes and after about 120 km, the mission was successfully completed, although the hydroplane eventually was forced to land due to mechanical damage (it was towed back to its base by a Hellenic Navy destroyer). 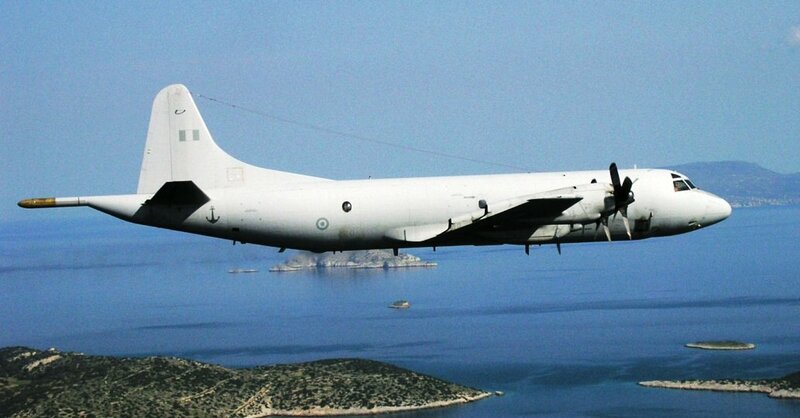 In the next decades, maritime patrol missions were carried out in Greece by a number of aircraft types. 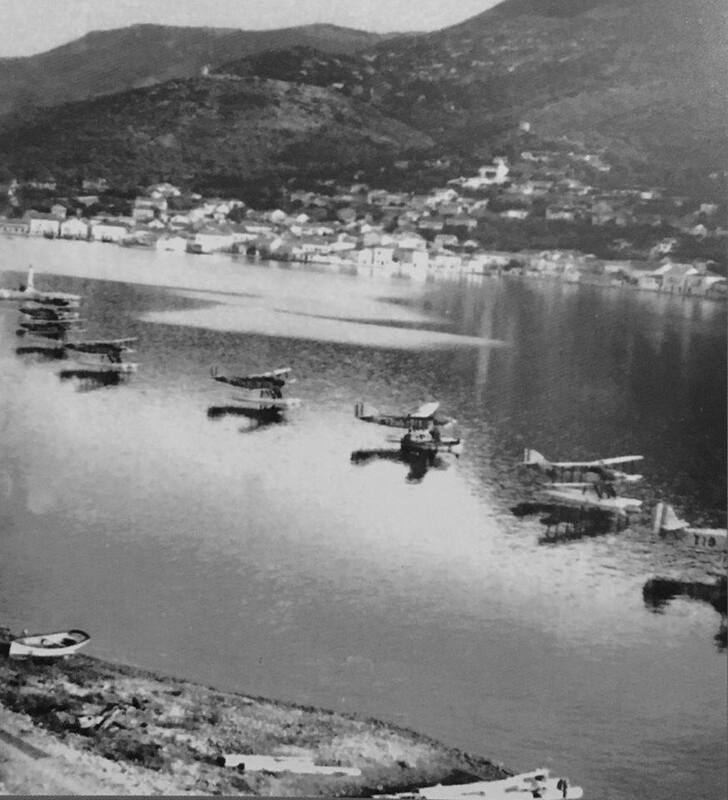 Undoubtedly, the most specialized and therefore the most interesting of these were the twelve Dornier Do 22Kg (serial number N.21 to 32) delivered in the period 1938-39 and served with the 12th Naval Cooperation Squad till the spring of 1941 when six or eight of them had their slender pontoons removed and given to the 2nd Observation Squadron for the execution of other missions. 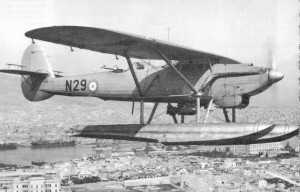 Finally, most Greek Dornier Do 22Kgs were destroyed during German air bombardments, except one which fled to Egypt and served under British command for a short period of time. In the post-war period, these tasks were undertaken by several other non-specialized aircraft. So until the 1960s it was frequent to carry out maritime surveillance missions from the C-47 Skytrain of the then Royal Hellenic Air Force (RHAF), which did not have any mission module for such operations. The inadequacy of such solutions was evident, especially as operational needs rose rapidly, as Greece became a member of NATO and thus international obligations were increased, and due to the emergence of the first cases of Turkish provocation in the Aegean. 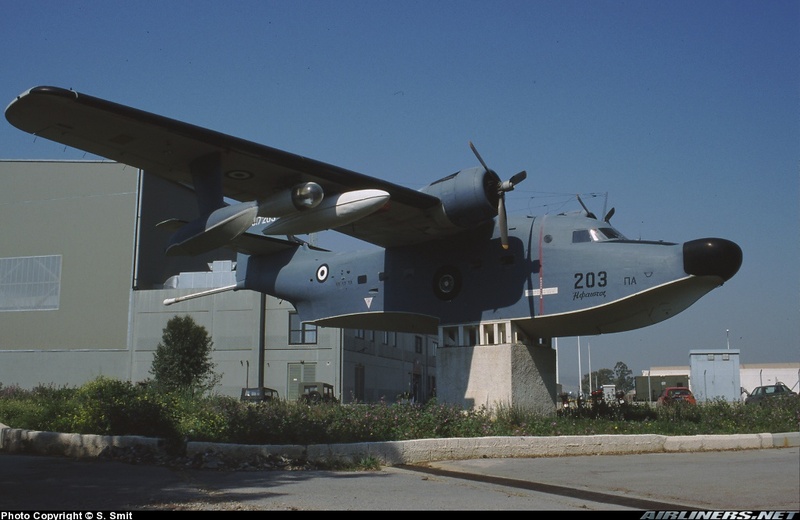 Consequently, in 1969, Greece acquired a number of Grumman HU-16B Albatross (manufacturer's code: G-111) twin–radial engine amphibious flying boats from Norway. The aircraft were built in 1951-52 with the designation name SA-16A/B for search and rescue (SAR) tasks by the US Air Force (USAF). 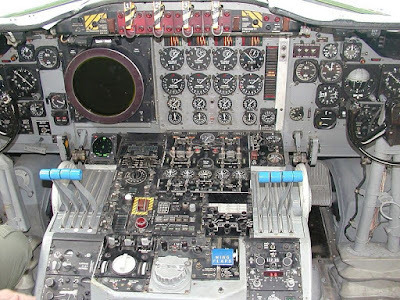 A decade later, with the addition of anti-submarine equipment and other systems, they were modified to HU-16B and 18 aircraft were all lent to Norway. 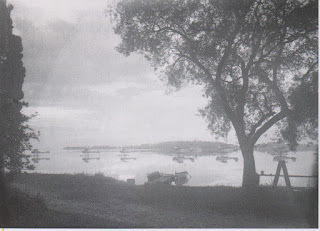 Under Norwegian service, the Albatross undertook the task of monitoring Norwegian coasts and detecting enemy submarines. One of the most special missions they performed was the effort to record... the polar bear populations in the area. 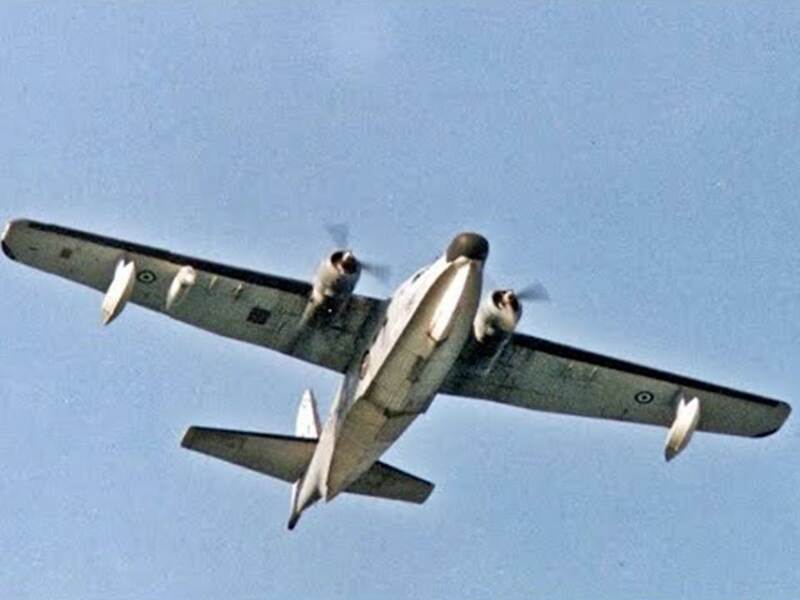 With the colors of the Scandinavian country, the HU-16B aircraft served for seven years, before they were withdrawn, and twelve of them were granted to Greece. 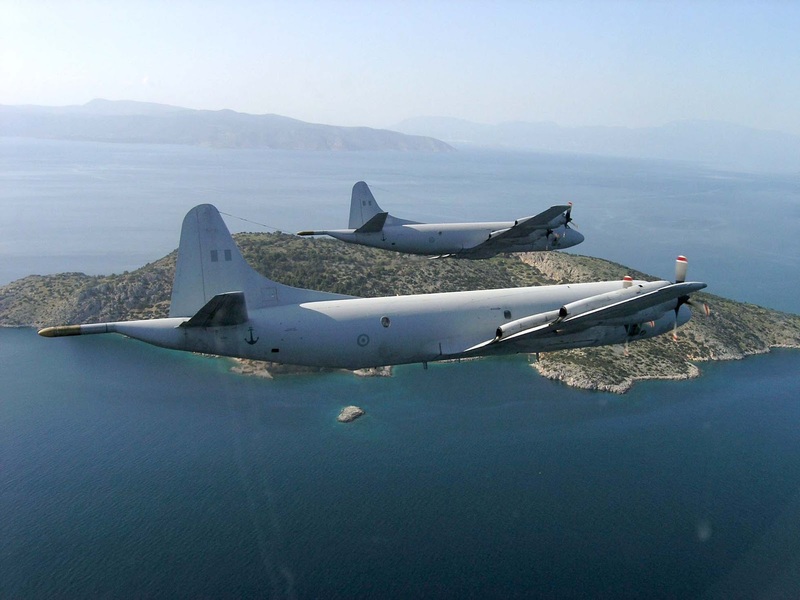 For their operational use, the 353rd Maritime Patrol Squadron (MAS) was established, based at the 112 Battle Wing, Elefsina Air Base. 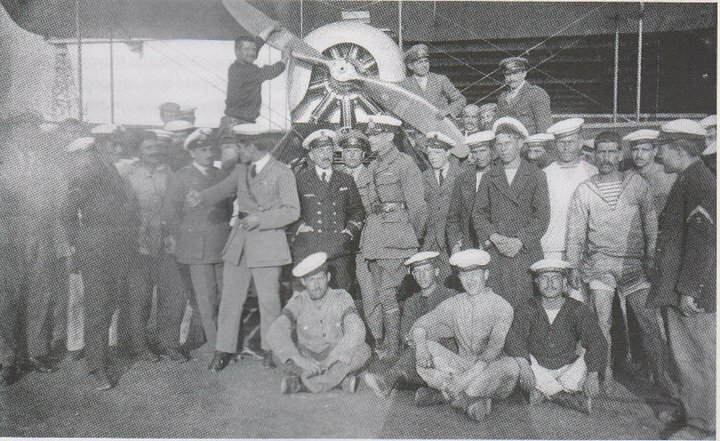 In Greek service their six-man crews were mixed. 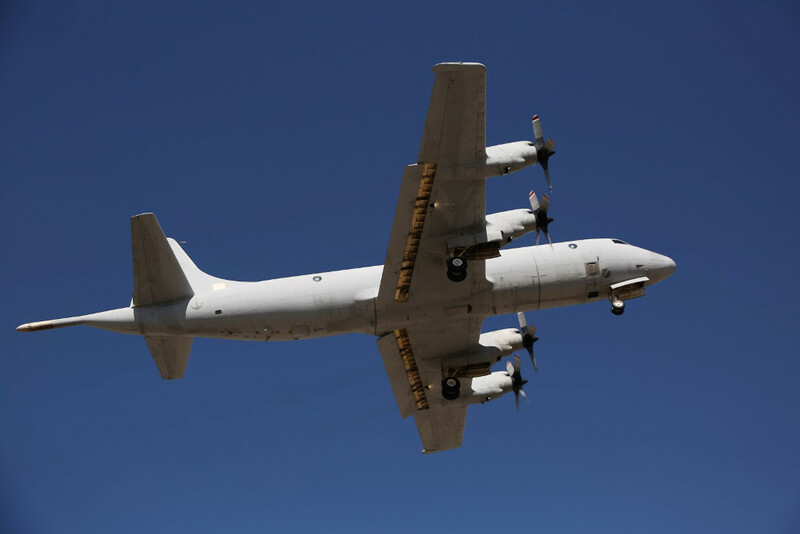 In particular, the three members responsible for the flight (commander, co-pilot and flight engineer) were Air Force members, while the three maritime operators from the Navy. These three were the tactical co-ordinator, radio operator and the operator of anti-submarine devices. In 1971, in the fleet of the twelve aircraft of version "B", a HU-16C was added, which was granted directly by the USA. 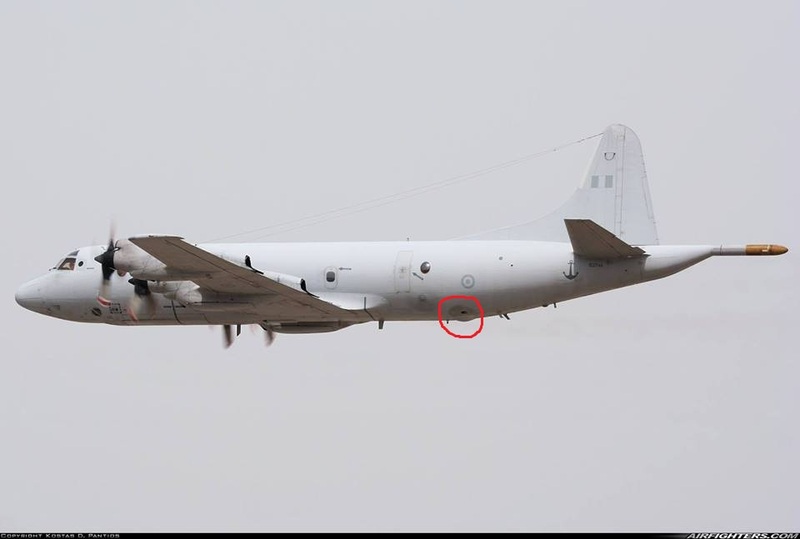 This plane did not carry mission equipment and remained in service for a short period of time, in training, SAR, and VIP tasks. 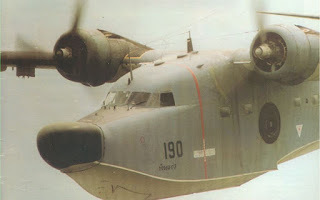 It was retired due to its poor condition and used as a source of spare parts for the rest aircraft in the fleet. The Albatross was equipped with two Wright R-1820-76A / B engines of 1,425 hp each. The aircraft carried a swollen muzzle to host the AN/APS-88 surface search radar (in the place of the smaller dome for the AN/APS-31 radar that the Albatross carried in SAR tasks), and a magnetic anomaly detection (MAD) equipment in the tail. 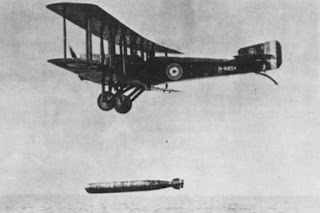 The wings had pylons in which external fuel tanks, anti-submarine torpedoes, depth bombs, general-purpose bombs, and rocket launchers could be carried. 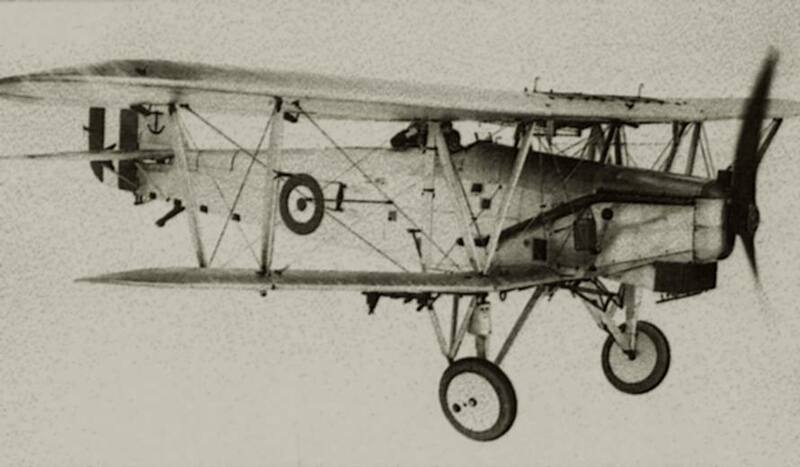 The last two weapons were never spotted on Greek Albatross. Instead, a nearly permanent load was a pod with a powerful AN/AVQ-2C searchlight projector. Probably in the 1980s, at least two of the HU-16Bs were modified to perform EW missions. Externally, they were distinguished by the existence of dielectric covers in various points of the fuselage, within which the antennas of the respective EW systems were located. Gate guard Hu-16B with its MAD device extended and full load on the right wing. 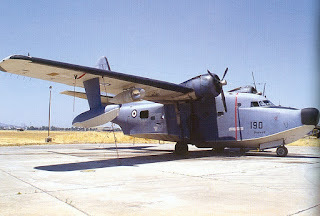 By the 1990s, the Albatross and especially their mission equipment had become obsolete, and thus the Air Force expressed the need to replace the aircraft with a new type of MPA. 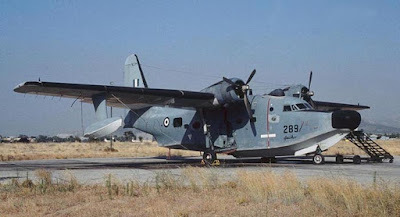 The accident of 23 January 1992, when one HU-16B was crashed in the area of ​​Eleusis and three of its crew members lost their lives, showcased the urgent need for a new replacement. 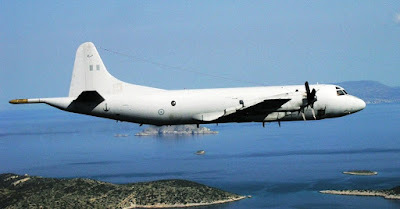 Eventually, the solution came when the USA granted to Greece Lockheed Martin P-3 Orion turbo-prop aircraft from the US Navy, and thus the HU-16B Albatross were withdrawn during 1996-1997 (although some of them continued to operate sporadically up to 1998), with the latter being the EW variant. 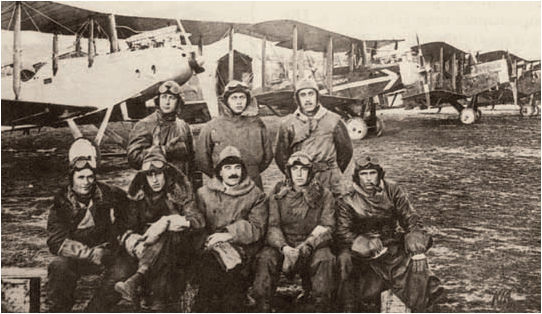 They were the last aircraft of the type in military service with a NATO member state. 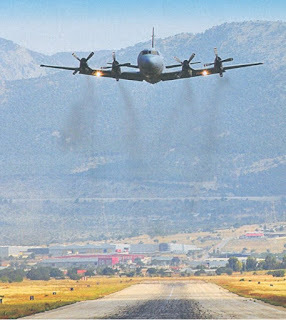 The first P-3A (151389) arrived at the Tanagra Air Base in 1995 in order to begin the ground-based training of technical staff of the Hellenic Aerospace Industry for the maintenance of the type. 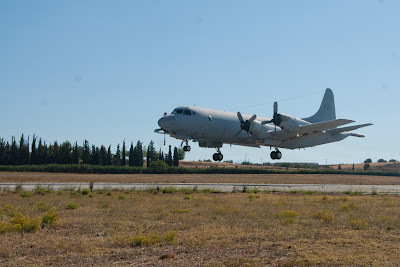 The second P-3A (152183) landed directly at the Elefsina Air Base to be used for the training of Hellenic Air Force technical Staff. The first operational P-3B was officially delivered in May 1996; the deliveries were completed in December 1997. In June of the same year, flight crew training was completed by the US Navy, including extensive use of the simulator in the NAS Valkenburg in the Netherlands. 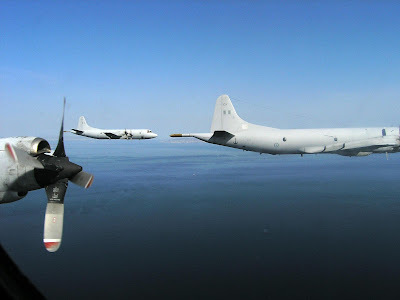 The six P-3Bs joined the 353th MAS, which was administratively subordinated to the 112 Air Force Combat Wing and operationally to the Navy Fleet Headquarters. Similarly to the Albatross the crews were mixed. 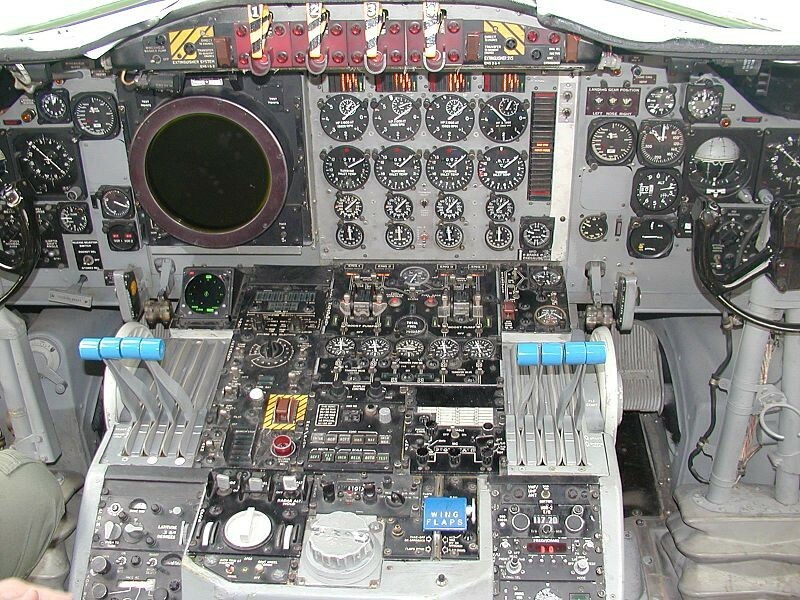 The crew was usually composed of eight members in total, of which five were system operators from the Navy: tactical coordinator (naval flight officer), navigator/communicator (naval flight officer), MAD/radar/ESM sensor operator, two acoustic sensors operators. Depending on the nature and duration of the mission, the crew could increase by 2-4 members. 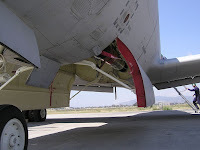 The P-3B TACNAVMOD which were transferred to Greece were equipped with an AN/APS-80B surface search radar (operating at 8.5-9.6 GHz and equipped with 42 x 42” antenna), AN/ASN-124 tactical navigation system, DF/ESM AN/ALD-2 and AN/ULA-2 systems, MAD AN/ASQ-10, as well as AN/AQA-7 audio processor for the processing of various types of sonobuoys - self-contained sonar transmitter/receivers which are dropped into the water to transmit data back to the aircraft for analysis. The initial number of sonobuoys delivered by the USA was supplemented and/or replaced by new types of Hermens Electronics acquired in significant quantities through three relevant contracts signed in 2002-03. Shortly afterwards, an Automatic Identification System/Vessel Monitoring System (AIS / VMS) terminal was also installed on the aircraft. 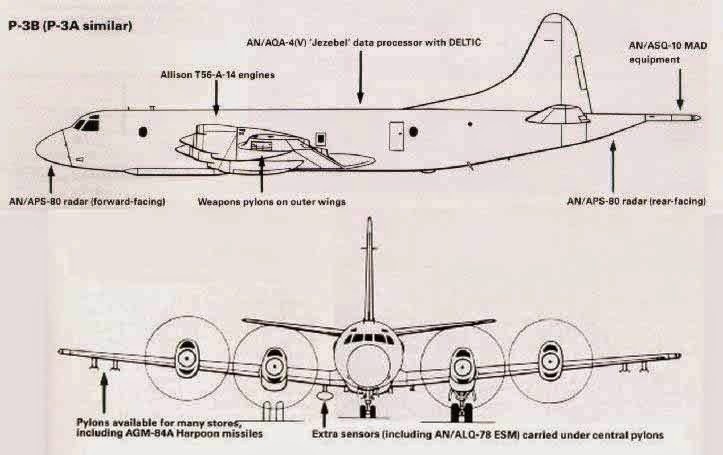 Regarding the weapons the aircraft carried, the capacity could reach up to 9.1tons, in ten wing stations in total (three on each wing and two on each wing root) and eight internal bomb bay stations under the front fuselage. 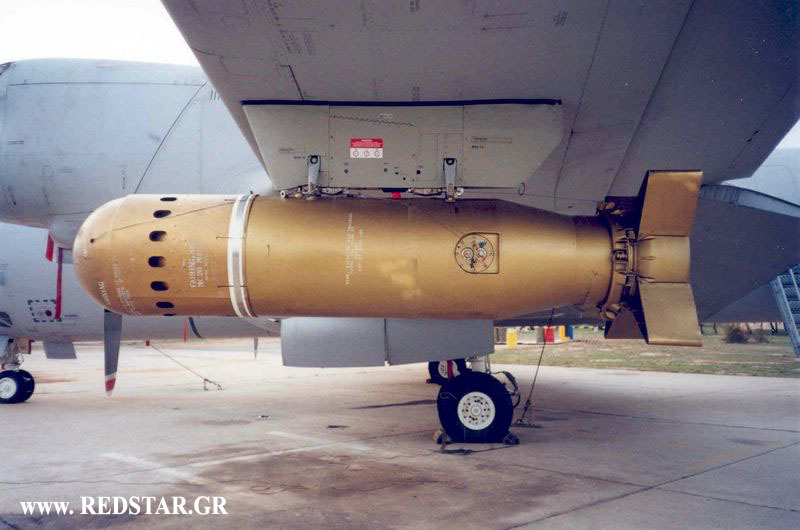 In Greek service, armament was usually limited to Mk.46 Mod 5 anti-submarine torpedoes and Mk55 naval mines. 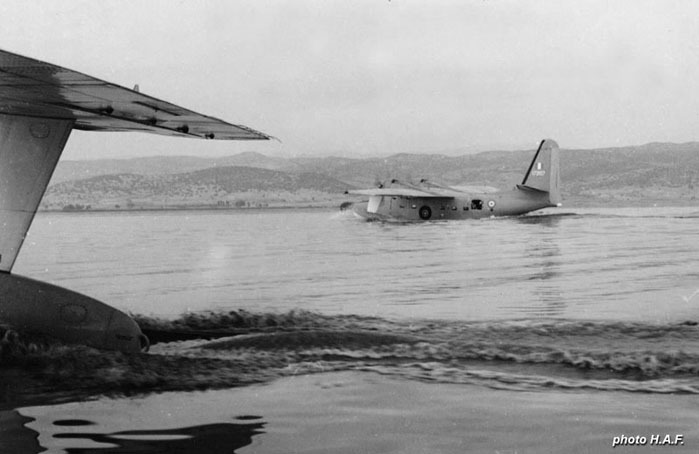 In fact, one of the Greek P-3Bs had the appropriate wiring on its wings for carrying and launching Harpoon air-to-surface missiles, but the aircraft lacked the Launch Control System. The Hellenic Navy technicians proposed the installation of a AN/SWG-1 HSCLCS from a decommissioned ship with parallel conversion of a number of the existing RGM-84 Harpoon missiles to the AGM-84 airborne version in order to exploit the advantage that aircraft could offer. However, this proposal did not succeed. 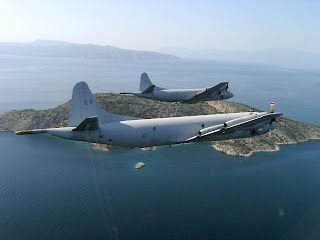 In 2002, the purchase of three P-3C Update II.5 from the Netherlands was proposed to Greece, aircraft with much newer mission equipment than the Greek Orions, a proposal that was also rejected. Shortly afterwards, the initially expressed Greek intention to acquire five P-3C Update III from the US Navy surplus was abandoned as well. Essentially, at that time, Greece was looking to acquire new MPAs. This led to the gradual phasing out of all P-3Bs by 2009. 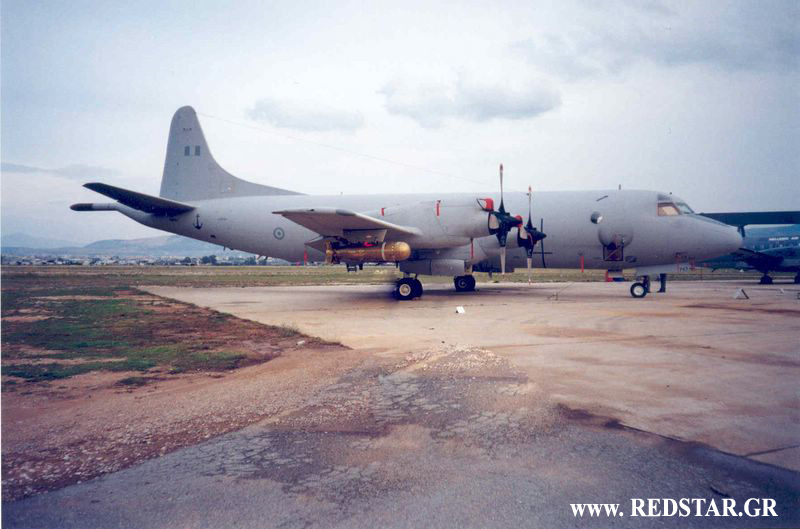 However, the purchase of a new aircraft did not proceeded and the subsequent financial crisis put a definitive end to the replacement program of the Orions by a new-built MPA type. Since then, naval surveillance flights have been carried out sporadically by C-130B/H and C-27J, which were equipped sometimes with a portable AIS terminal. 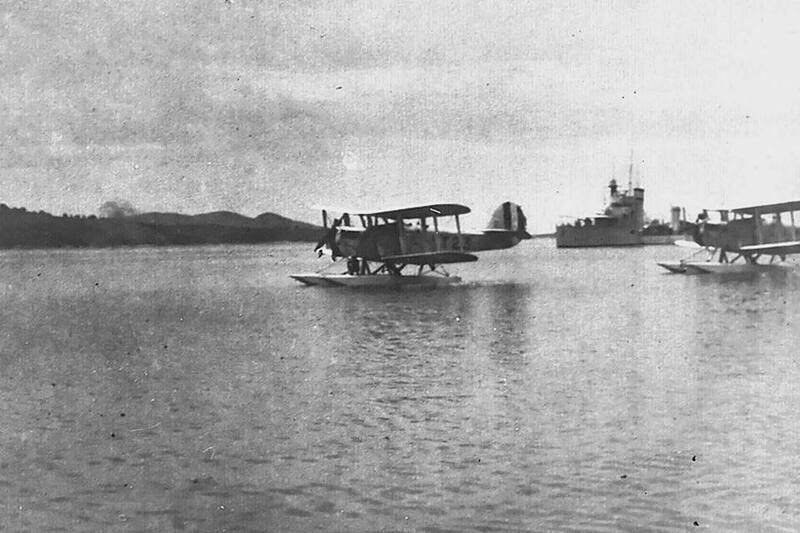 However, this practice proved to be insufficient because the aircraft in question are deprived of any other system or appropriate equipment to carry out such maritime missions. The operational gap created by the lack of “real” MPAs, coupled with the need to cover increasing national and international obligations from Greece both in the Aegean Sea and in the wider SE Mediterranean, led to the consideration of various alternatives. 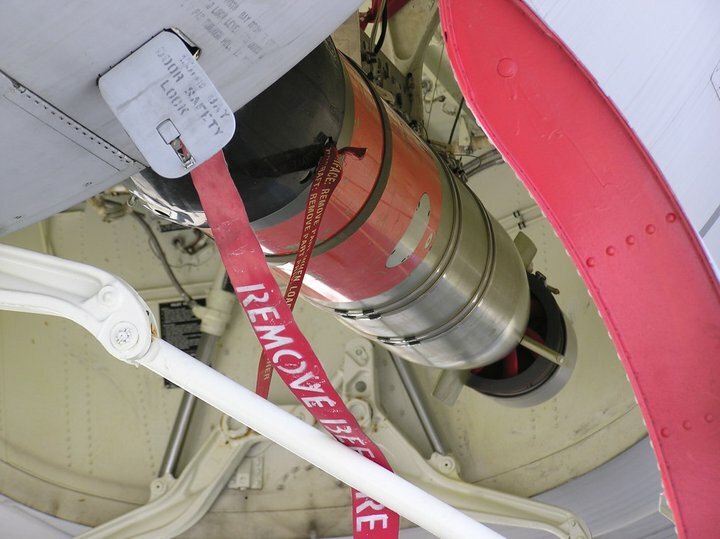 Finally, a decision was taken in 2014 for the re-activation of existing P-3Bs and their submission to a program of overhaul, upgrade and service life extension. 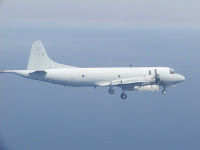 The program for the modernization of the Greek P-3B, with a maximum potential cost of $500 million, was finalized at the end of 2014 with the US Navy being the General Supervisor of the programme, Lockheed Martin the main contractor and ΗΑΙ as a partner together with a number of other smaller companies. This solution is judged by many as the most economical and operationally viable, as the request for more modern versions like P-3Cs retired from USN service floundered when these proved to be in a sad state of disrepair. Purchases of new aircraft proved to be too expensive for available funding, and would also mean longer times until they could be pressed into service operationally. 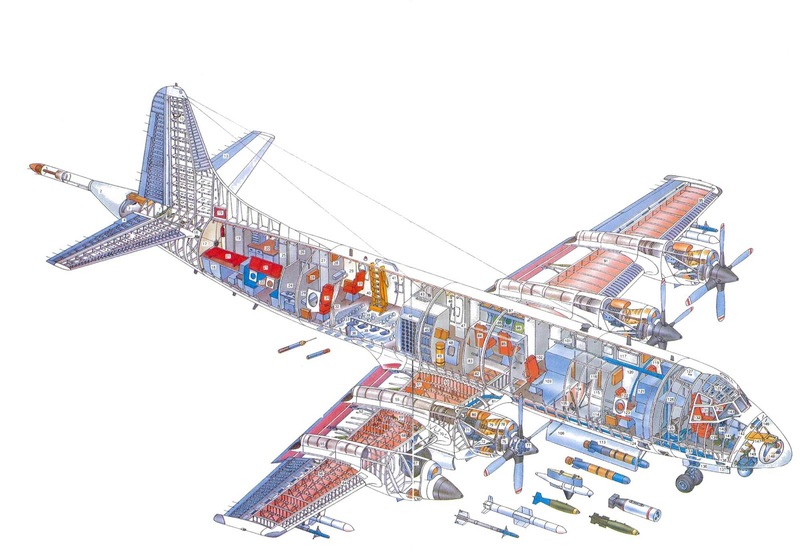 Phased Depot Maintenance (PDM) with complete repair and restoration of all structural and mechanical parts and, at the same time, structural Mid Life Upgrades (MLU) to provide 15,000 more flight hours and 25 years of use to the lifespan of each plane. The service life extension includes the replacement of main and tail wing sections by new ones. 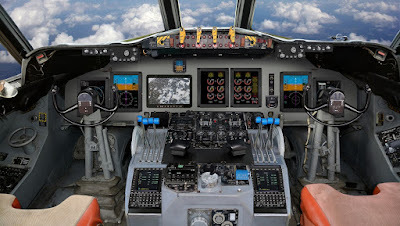 Installation of new navigation and communications equipment, with new flight avionics and a cockpit digital suite (glass cockpit). Installation of new mission equipment. 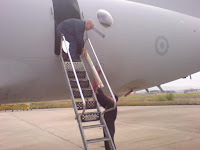 Follow-On Support (FOS) of the aircraft and their systems. The contract includes the return of one aircraft to airworthy condition with the existing mission equipment as an "interim solution" and the complete modernization and upgrade of four other aircraft in HAI. The delivery of the "interim solution" aircraft is expected in the near future, although the program is facing a delay of some months. The option includes the complete modernization and upgrade of that aircraft as well. The sixth P-3B will be permanently withdrawn and will be used as a source of spare parts. The deal includes personnel training and training equipment, logistical support, the usual spare and repair parts, publications and technical documentation, US Government and contractor support and other related elements of logistics and program support. The Hellenic Navy, Lockheed Martin and Hellenic Aerospace Industry (HAI) hosted a ceremony 24 July 2016 at HAI’s facilities to recognize the official launch of the Hellenic Navy P-3B maritime patrol aircraft modernization and upgrade program. All the aircraft are expected to be delivered by December 2023. The new mission equipment includes an IAI ELM-2022A X-Band all-weather multimode airborne maritime surveillance radar incorporating SAR (Synthetic Aperture Radar), ISAR (Inverse SAR) 3D technology, RP and Ground Moving Target Indication (GMTI) and integrated with AIS and AN/APX-123 IFF) and IAI ESM/ELINT EL/L-8385. These will be complemented by a rotating Multi Sensor EO/IR Thermal Imaging and Tracking Turret, most likely of the L3 Wescam type MX-15HD. 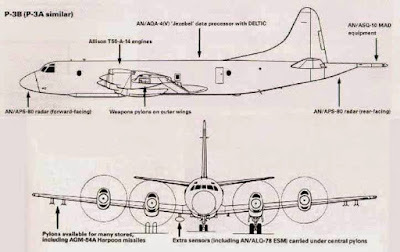 The self-protection suite will consist of AN/AAR-47 Missile Approach Warning System (MAWS) and AN/ALE-47 Airborne Countermeasures Dispenser Systems, which will receive data from the ESM system. 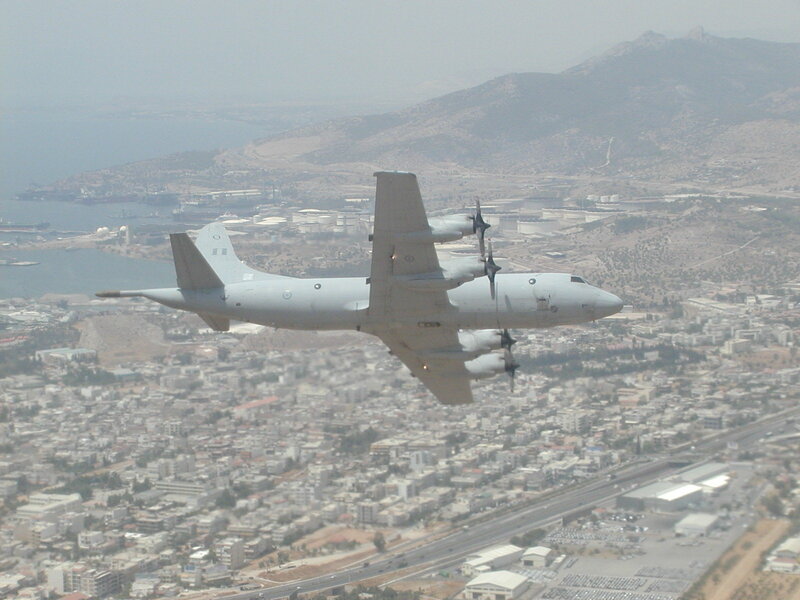 Greece has selected the Maritime Mission Integration and Management System (M2IMS) from the Greek company Interoperability Systems International (ISI) Hellas as the aircraft's new tactical mission system, probably with five workstations. ISI's latest M2IMS solution integrates and manages the new sensor suite, weapon interfacesm datalinks and navigation systems on the Greek P-3B aircraft when upgraded. Regarding the ASW equipment, the options have not been fully elucidated, although it would be reasonably expected the installation of new modern systems instead of retaining the old AN/ASQ-10 and AN/AQA-7 devices. 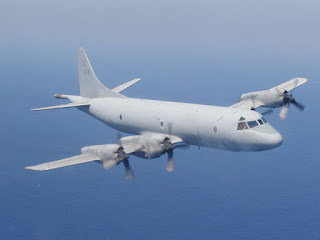 Otherwise, the possibility of acquiring similar second-hand equipment from US surpluses from withdrawn PNEs P-3C and/or S-3B could be considered. Undoubtedly, the current operating environment makes it rather utopian to carry out Greek maritime surveillance missions similar to those of 1913. 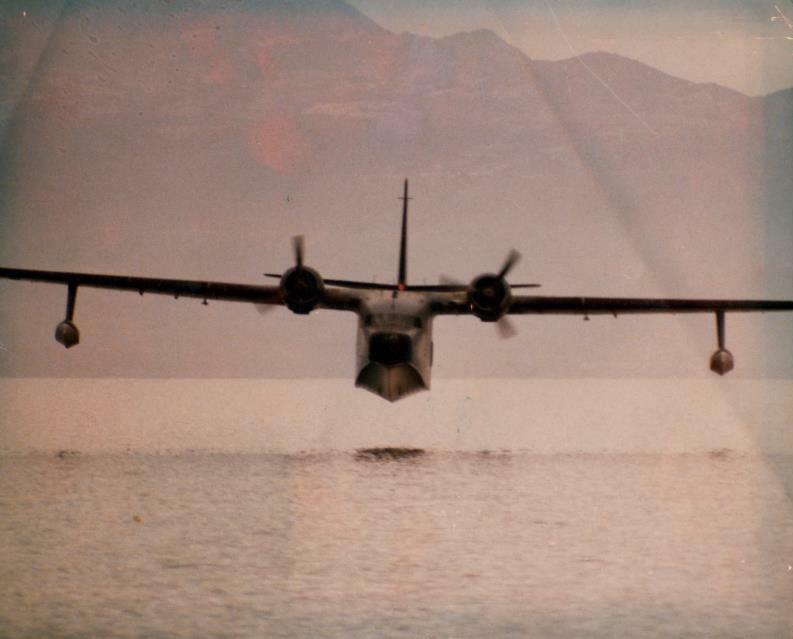 Although the flight characteristics of MPAs combined with the multiple threats exist in a saturated environment increase the risk of the mission, this does not automatically prohibits their use even at a time of conflict. In such a case, it is rather assumed that the areas where the MPAs will operate, will be partially or fully covered by friendly land and / surface anti-aircraft systems, as well as by friendly patrol fighters, whose tasks will include the protection of high value assets, as it is also the case with a variety of other such assets of similar characteristics (e.g. AEW a.o.). 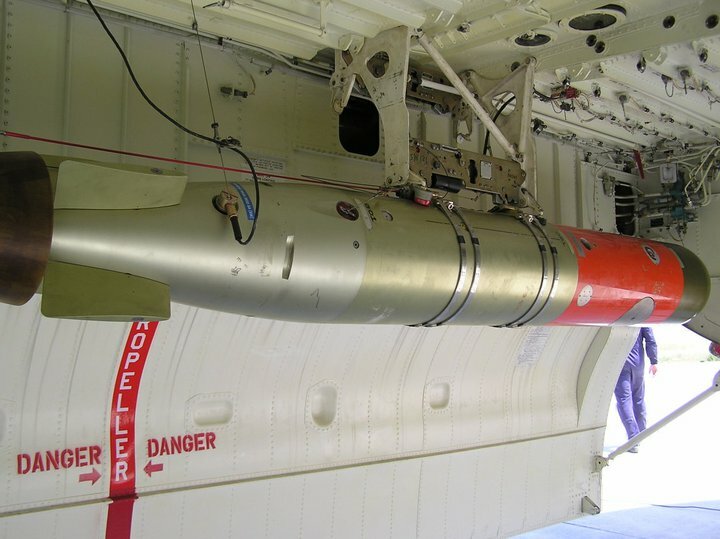 Except being weapon and sensor carriers for generating and transmitting tactical imagery and targeting data, MPA can perform a variety of other military tasks, such as to hamper enemy submarine movements from specific passages through the laying of appropriate sound signals (and even naval mines). But even greater is their operational utility in times of crisis, before the start of operations. In such a situation, the MPA will have the crucial role of creating a clear and complete picture of the tactical situation in each area of ​​interest and of transmitting the relevant (combat) data to the decision-makers in real time in order to decide further moves. Under these circumstances, their role will obviously be decisive, as, among other things, they are also the means that can move to the area of ​​interest faster than any other ship or naval helicopter and, at the same time, to cover much larger area than the other means. Therefore the MPA will provide surveillance and protection of areas of national interest. 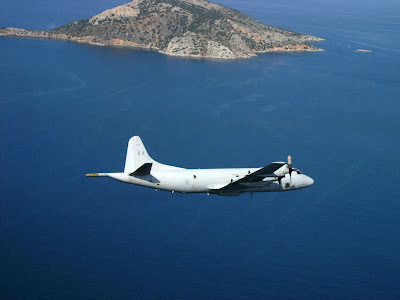 The Hellenic Navy, despite the difficult economic circumstances and some of the unfortunate choices of the recent past, seems to have realized the usefulness and the criticalness of the existence of MPA in its inventory. This includes the ongoing P-3B Orion activation and modernization program for operational exploitation with a medium-term perspective, combined with organizational changes such as the establishment of the Navy Aviation Command on 23 January 2018. 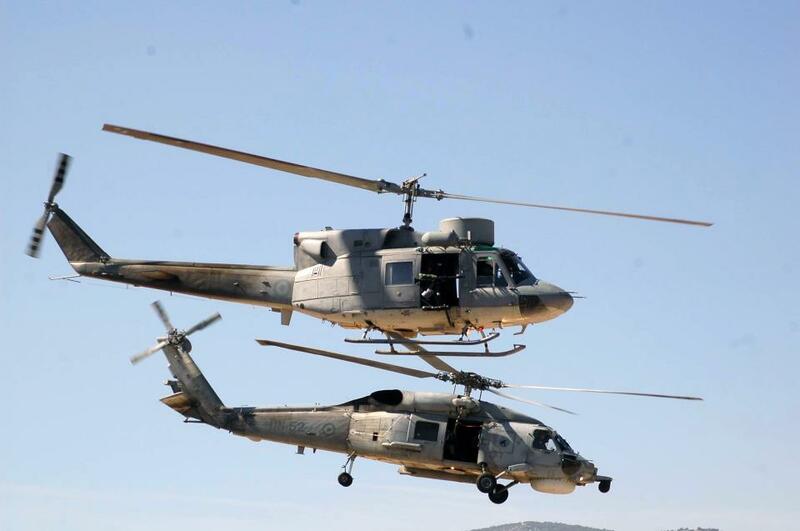 It was established from the amalgamation of the Navy Helicopter Command and the 353rd Naval Cooperation Squadron, which was run jointly with the Hellenic Air Force. The new formation is based in the 112th Combat Wing in Elefsis Air Base, occupying the infrastructure formerly used by the disbanded 353rd Squadron. 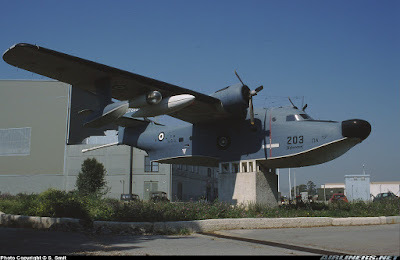 Thus all the naval aircraft will be under the direct command of the Hellenic Navy General Staff. For long-term projects, in June 2017 Greece was among the six countries (the others were Germany, France, Italy, Spain and Turkey) signed a Letter of Intent on “Cooperation on Multinational Maritime Multi Mission Aircraft Capabilities.” This cooperation could lead to the joint acquisition or development of new aircraft. Other Allies are expected to join the initiative in order to replace aging maritime anti-submarine and patrol aircraft capabilities. ΠΟΛΕΜΙΚΟ ΝΑΥΤΙΚΟ. ''Ταξίδι από το ένδοξο παρελθόν στο σήμερα." Excelent post from a distinguished author! Such an informative post, really thankful to you for sharing this post and increasing my knowledge on this.